If you want a sign for your plugin to auto-update, you can simply have a whitelisted placeholder on it, and InSignsPlus will handle the rest. - Below are examples for creating you own placeholder and adding it to the whitelist. Below you can see an example of creating a new placeholder. 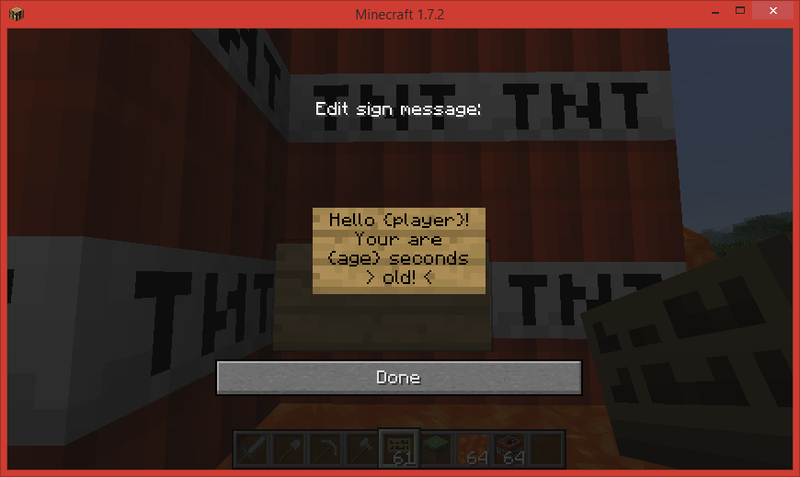 Once you have your placeholder, it can just be added to a sign normally! Change the player you are evaluating with in the future.